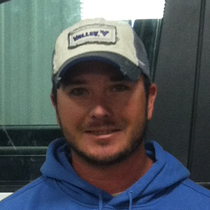 Jake is the Service Manager and has been with Mid-Continent for seven years. He is continually studying management, and in the past has studied “Principles of Management”, Walt McDonald’s “Excellence in Aftermarket Parts & Service” and Dale Carnegie’s leadership training among others. He has attended 6 Valmont Service Schools, regularly scoring in the top percentages of all techs nationwide. He grew up and lives in Fremont. Jake has 4 children (3 boys and 1 girl) In his free time he enjoys playing golf, playing guitar and reading. Ben leads our technology team in addition to new and used sales. Ben has attended numerous sales and service classes, always scoring near the top of the class. 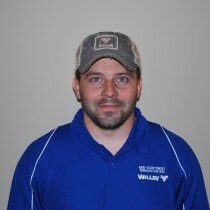 He is in his 2nd year with Mid-Continent Irrigation and continually increases his value to our company. He grew up in Wahoo, NE and attended UNL. Ben enjoys spending time with his friends and family while he is away from work. 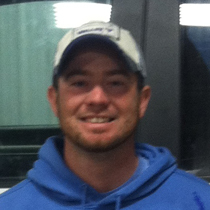 Patrick Holtorf is a service technician that has been with Mid-Continent for 8 years. He was born and raised in Fremont, graduating high school in 2001. Then he moved to Lincoln and framed houses for a few years. He came back and worked for the City of Fremont until he started working here. Since he started he has attended every Valmont Service School where he learned the skills needed and is continuing to learn. With those years of experience he is able to service all brands of pivots. He can work on all types of Valley machines including corners, GPS and linears. He is also trained to fix Sukup dryers and other bin components. He says, “I enjoy working at Mid-Continent. It is a family atmosphere. I look forward to working with all of you”. Kevin grew up in Schuyler, Nebraska. After high school he attended SCC Milford Campus where he received a Farm Diesel Technology Degree. Then he moved back to Linwood where he worked for a local farmer for a few years. In 2010 he began his career with Mid-Continent. Throughout his time here he has completed the highest level of factory training through Valmont and has developed many in field skills from hands on experience. He now lives in North Bend with his wife Kristan and daughter Kinna. Outside of work he enjoys spending time with family and friends. He loves to be outside and enjoys all aspects of the outdoors. 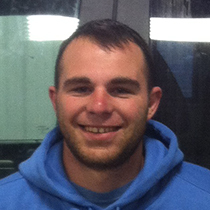 Andy has worked as service tech for Mid-Continent for two years. He grew up in Bennington. He currently lives in Fremont. Andy grew up turning wrenches with his dad as a small engine mechanic. After high school he worked for a lawn and tree service for seven years. 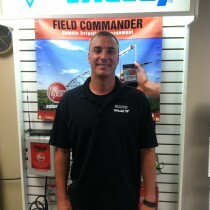 Andy says, “I have learned a lot working at Mid-Continent. I can do most anything from working on trucks and equipment to most things with a center pivot”. He has two years of training through Valmont Service Tech School. His mom and dad are retired and live in Colorado. Andy has two brothers. His oldest brother travels state to state with his job. His other brother works at Valmont and lives in Valley. He has two dogs and enjoys taking them outside and playing with them. Hobbies: he is an outdoorsman. He lives for camping, fishing, hunting, riding ATVs and his motorcycle. 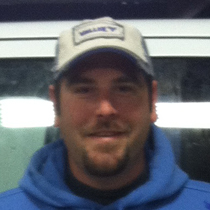 Wade is a Service Tech and has been employed with Mid-Continent for 4.5 years. He grew up in North Bend. After high school he moved to Minnesota for four years where he received a college degree and participated in wrestling at the college level. Then he moved back and started working here. He has been through the highest level of training that Valmont gives. In 2015 he received a silver coin at service school. This means he scored in the top 25% of his class of 100 service techs. His dad’s name is Bill and his mom’s name is Mary. He has a sister Amanda and a brother Eric. In his free time he enjoys sports, fishing, riding 4-wheelers and hanging out with family and friends. 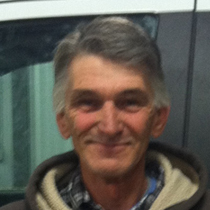 Rick started building pivots and grain bins in 1980 and continued with that crew until 1986 when his brother Dale acquired Mid-Continent from Valmont Industries. He was able to start in the service department at that time. In 1989-90 Rick secured a job with Valmont International to supervise erection crews in northern Iraq. After his return from Iraq he has been in irrigation service in the surrounding area of Fremont. He has attended many Valley, Zimmatic and Reinke service training schools. Rick has 4 boys, 2 girls and 16 grandchildren. His hobbies are fishing, music and family. Miguel graduated from high school in Mexico and later went for a GED to learn more English. He has been working on all brands of pivots since 1998. Miguel started in Grand Island where he worked from 1998 to 2008. Since then he has worked for Mid-Continent. While working for Mid-Continent he has gained even more experience building, fixing and wiring new and old pivots. He has also learned how to build Sukup grain bins. 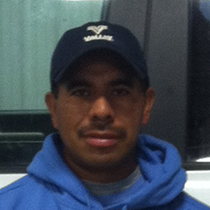 Miguel enjoys his work and always has a positive attitude. Miguel says, “At Mid-Continent I feel that all of us are a good team and put a lot of effort into getting the job done”. After work things that he likes to do include: bowling, walking, picnics, attending church, fishing and playing soccer. 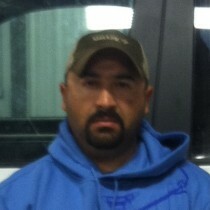 Juan has worked for Mid-Continent for five years installing and building pivots. He has also learned how to do basic wiring. For the most part he drives the tele handler connecting the spans. Juan also builds grain bins for Mid-Continent. Juan says, “I like to work for this company because Travis is a great person”. He lives in Fremont with his wife and three children. On weekends he likes to take his family to the park and take them out to eat. 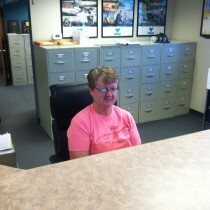 Linda Stuehmer , Office Secretary, has worked for Mid-Continent for 4 years. She has an Associates Degree in Accounting. Linda and her husband Wayne live on the farm where she grew up north of Hooper. She has two children, Sarah and Jeff and five grandchildren. Her hobbies are reading, playing computer games and watching Husker sports. She is an organist at St. Paul’s Lutheran Church. 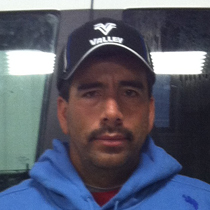 Santiago has worked for Mid-Continent for two years building and installing pivots. Previously he worked for Midwest Mechanical for four years building grain bins. The building crew is made up of five people and they all get along well. He lives in Fremont with his wife and three girls. During his free time he likes to take his girls to the park.